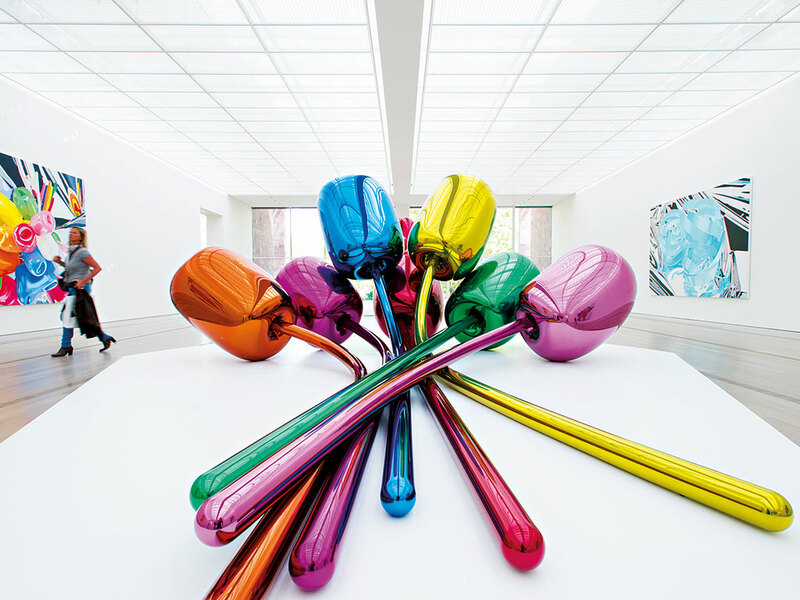 Jeff Koons is one of the most revered – if divisive – figures in contemporary art. In 2013, he sold a sculpture of a balloon dog – aptly titled Balloon Dog – for $58.4m, setting the record for the single most expensive piece of art sold by any living artist. He also worked as a Wall Street commodities broker; initially at First Investors Corporation and later at Clayton Brokerage Company and Smith Barney. These are two achievements that, while far apart in nature, actually make use of many of the same qualities. Koons, the Pennsylvania-born artist who first found fame in the New York City art scene of the 80s, has often been likened to a businessman. His studio setup in particular has caught people’s attention: choosing not to indulge in the isolation that characterises the majority in his line of work, Koons instead presides over a team of over 100 employees. He is one of a growing band of artists who prefers not to extend a hand when it comes to the making of their art – rather, his method is to dictate his vision to an army of art-workers, making his role closer to that of a chief executive, as opposed to an artist. 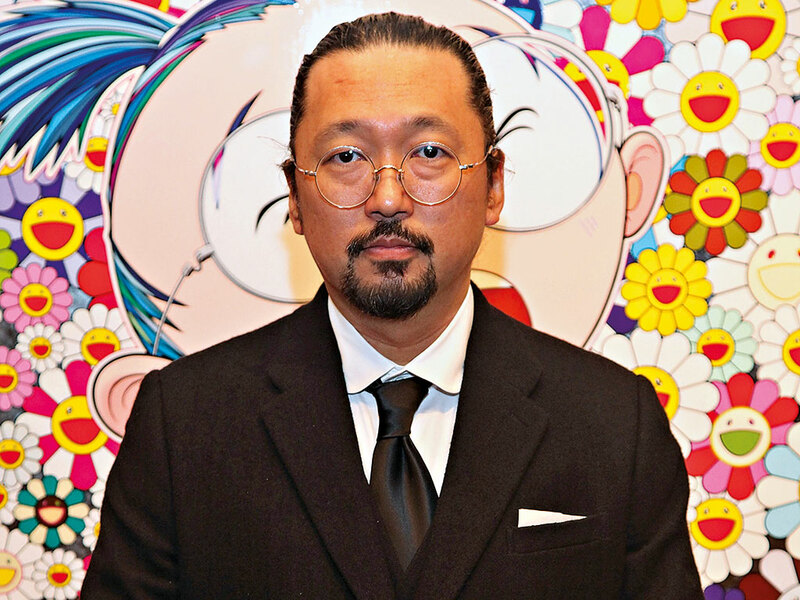 Other such artists include the prolific Takashi Murakami, who maintains two studios on two continents, and Damien Hirst, who heads up a 97,000sq ft production facility in the UK. The former has been likened to Andy Warhol, insofar that he draws heavily on pop culture and produces works en masse at extremely high margins. The latter does much the same, and has come in for criticism time and again for his so-called ‘mass-produced’ art. Understandably, this rather hands-off approach has been criticised by many who claim that business practices are contaminating the arts. 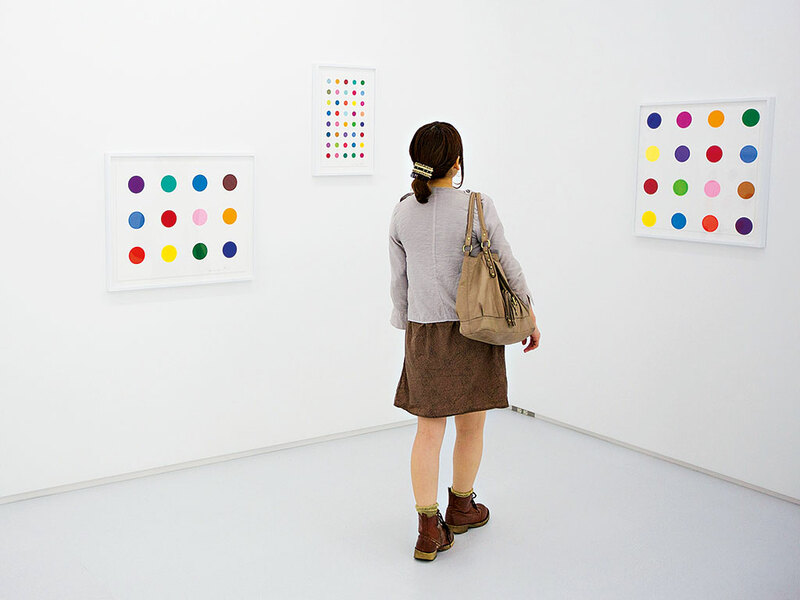 In an interview with The Guardian, Mary Moore – daughter of sculptor Henry – said that Hirst had set art back by 100 years. Speaking about her father and how he reinterpreted the Victorian era art, she said, “What he did was come along and take it out of the frame in a very weird way”. Of Hirst, she was less complimentary: “[He] put it back in the bloody frame and art is all now in the frame, and what you forget is how radical it is that it’s not in the frame”. The criticism doesn’t stop there, with outsourcing the hard graft to third parties having led many to question the legitimacy of such artists’ output. This assembly line-like approach, if nothing else, underlines the way in which business has spilled over into contemporary art – and yet, the artist’s margins, not to mention their marketing nous, are the envy of the business community. These are artists that could teach companies a thing or two about profit-making: in a period where businesses have struggled to keep ahead of the curve, art sales have risen hand over fist, due in no small part to the sector’s understanding and application of creativity. According to the annual TEFAF Art Market Report, global art sales last year reached a record $54bn, fuelled in part by a free-spending American market and budding online sales. Another report, authored jointly by Artprice and AMMA, noted that “the global fine art market posted a new record level of activity in 2014, with a total auction turnover of $15.2bn, up 26 percent compared with 2013 ($12.05bn) and more than 300 percent compared with a decade earlier”, again indicating that the market as a whole is on the up. Generous spending and digital channels aside, one of the key reasons why the market has remained so healthy can be put down to creative marketing. 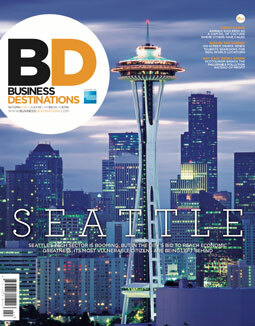 It’s in this department more than any other where businesses can take lessons from the arts. “Artists can teach businesses that creativity is a skill and not a talent. It’s something you can develop, but you have to practice it. It’s about creating a space where it’s safe to experiment, so that you can develop new ideas and get unstuck”, Scalin told Business Destinations. In a corporate climate dominated by data and precise analysis, artists can hand companies an advantage when it comes to edging out the competition. Data-driven market research is undoubtedly a useful resource, but it unearths the same conclusions for all – creativity, meanwhile, is an imprecise and sometimes-illogical feat in short supply among struggling businesses. As competitive as any industry, the arts is home to some of the world’s brightest minds, whose success lies more so with creativity than it does with the cold, hard decision-making undertaken by business executives. It’s for this reason that businesses have been known to consult artists, often when a business is partway into a crisis and seeking a creative solution. Business leaders all too often lose perspective in the process of obsessing over one particular problem, whereas creatives might be more inclined to take a step back and contemplate the issue at hand from a distance. Traditional business practices have contaminated the arts, say some, but the two industries are not as separate as appearances would suggest. Despite what many assume to be true, not all the answers lie with rational, logical and scientific thinking, and drawing on some of the more abstract approaches practised by artists could hand struggling companies a lifeline.